So explained David Bach to PokerNews’ Rossana Woo recently during a break in play from one of the two different razz events on this year’s World Series of Poker schedule. Bach should know. Besides winning his WSOP bracelet in the prestigious $50,000 H.O.R.S.E. 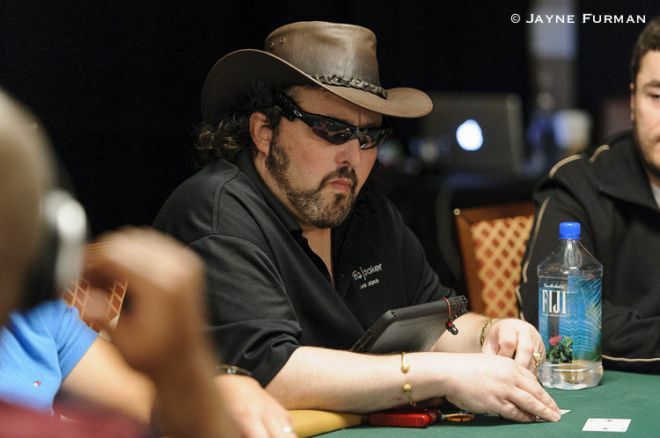 event in 2007 — in which razz is the “R” in the rotation of games — Bach finished second in last year’s $2,500 razz event at the WSOP, then managed to final table both of the razz events this year, finishing fourth in Event #7: $1,500 Seven-Card Razz then taking eighth in Event #18: $10,000 Seven-Card Razz. Bach is well-versed in many poker variants, having experienced tournament success not just at the WSOP and elsewhere but online as well. On PokerStars where Bach plays as “Gunslinger3” he has won a Sunday Million, a WCOOP title in pot-limit Omaha hi-low, and three SCOOP titles with two in stud hi-low and one last month in limit 2-7 triple draw. And as Bach mentioned to Rossana, he enjoys playing open-face Chinese poker, too, often playing OFCP on Tonybet Poker. If you are new to razz and the WSOP has gotten you curious to learn more about the game, check out “Strategy Vault: Introduction to Razz” to learn more.